ibtm world in Barcelona has always been one of my favourite industry events of the year. And the 2016 edition will hold an extra special place in my orange heart as it was the last event I attended as Mr Holland. Needless to say that it was a bitter sweet visit to Barcelona this time around. I showed eventprofs from around the world that Holland Moves, we shared many fond memories and I had the most fantastic farewell I could have wished for. Let’s reminisce a bit, shall we? 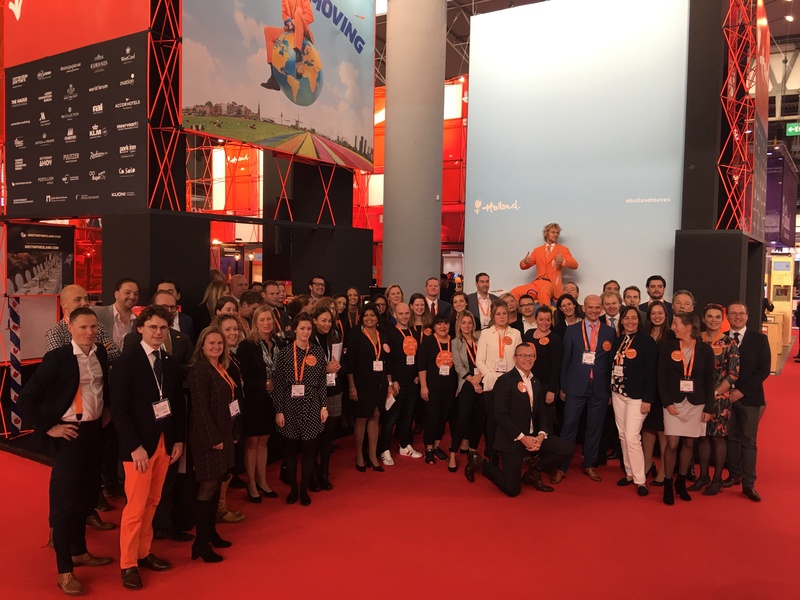 This year, 34 Dutch suppliers represented Team Holland at the Holland stand at ibtm world. Together, we showed eventprofs from all over the world how Holland Moves your meeting to the next level. And of course one thing that could not miss this year was our renowned Postillion Happy Hour. 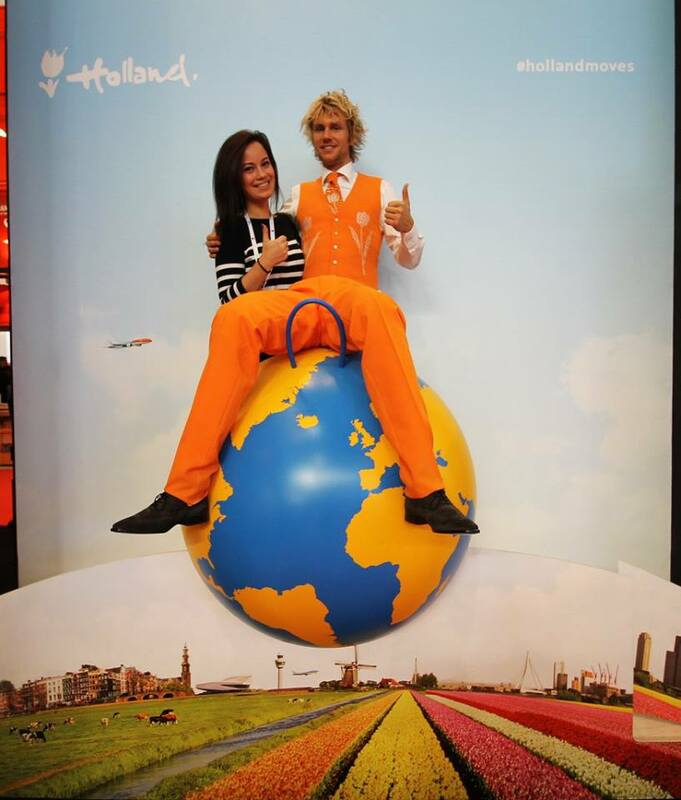 For more pictures from on and around the Holland stand head on over to my ibtm world photo album on Facebook. Head on over to my Facebook page to find, tag, like & share our Holland Moves photo. Here are the photos from Tuesday and here the photos from Wednesday. This year, NBTC Holland Marketing partnered with ibtm world and Meetings Professional International (MPI) Foundation to launch Rendezvous at ibtm world 2016. What can I say other than Rendezvous surely was a night to remember! Thank you to each and everyone of you for celebrating a night of orange fun with Team Holland and myself. For me personally it was bitter-sweet, since Rendezvous also marked my very last performance as Mr Holland. As of now, I will go through life as The Artist Formerly Known as Mr Holland. But, we will always have the wonderful memories. And by the way, all proceeds of the event will be invested in the MPI Foundation, which funds scholarships, grants and pan-industry research. What a better way for me to say goodbye to the events industry! All pictures from the Rendezvous Orange Carpet photo call are now up on my Facebook page. Feel free to tag yourself and share your Orange Carpet moment. Did you hope that what happens at Opium, stays at Opium? No such luck! Take a look at all the Rendezvous event pictures on my Facebook page. Don’t forget to tag yourself! We’ve known each other for a while now, so I feel I can be honest with you. In the events industry we see people come and go quite often. However, there was one farewell that hit me a bit harder than I was anticipating: saying goodbye to ‘my’ Team Holland. 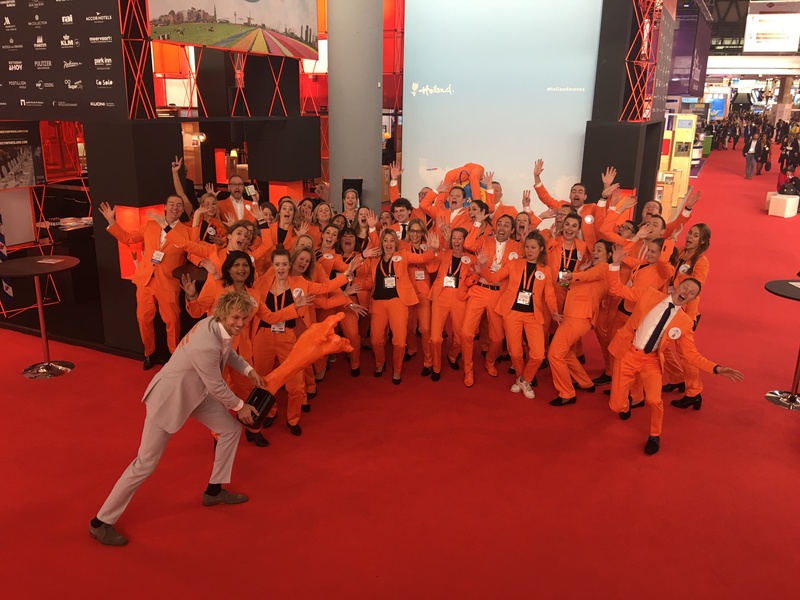 ibtm world 2016’s Team Holland represented a much bigger Team Holland, of course. Throughout the years I had the pleasure of working together with so many inspiring and driven suppliers from the Duch meetings and events industry. And it wouldn’t do them justice not to give each and everyone of them a shoutout at this moment. You all know who you are! But, alas, the moment had to come after all. So without further ado, here is one more immensely huge THANK YOU TEAM HOLLAND (yes, I capitalized that). And thank you for the memories. It’s been an honor representing you and our beautiful small country across the world. 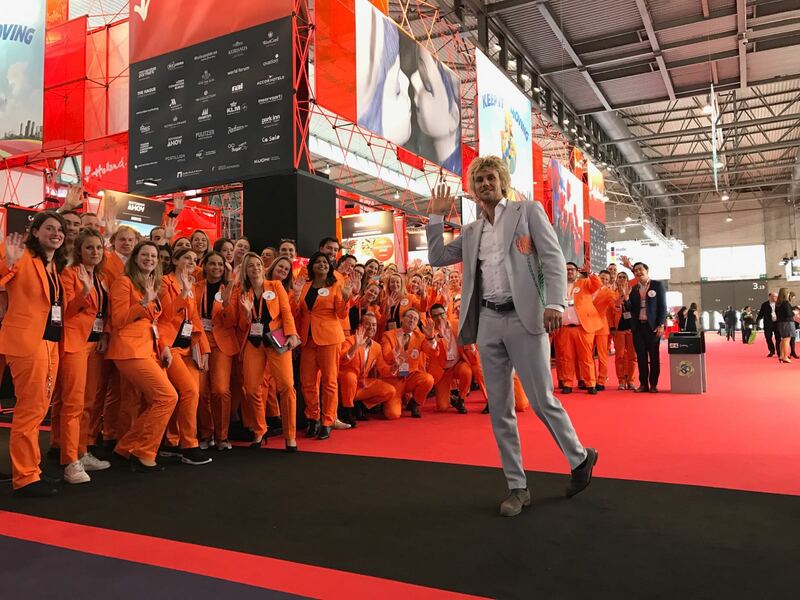 This entry was posted in Columns and tagged EIBTM, eventprofs, events, Holland Moves, IBTM World, Meet Mr. Holland, meeting, Meeting planners, meetingprofs, meetings industry, orange by The Artist Formerly Known As Meet Mr Holland. Bookmark the permalink.